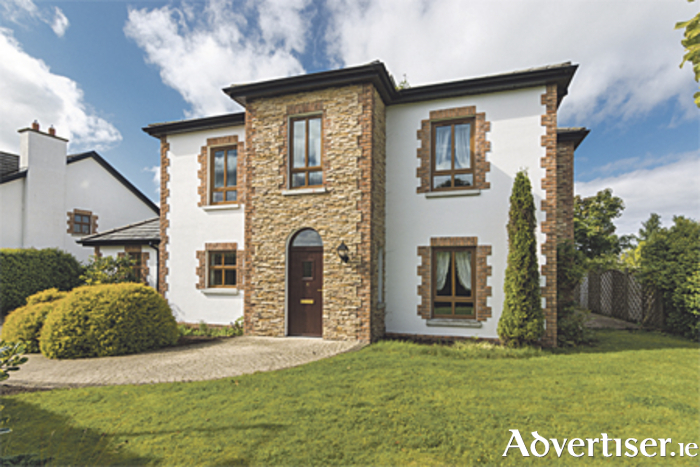 This stunning architect-designed property is located in a secure gated development and suburban setting beside the River Inny on the outskirts of Ballymahon. This superb home was built as a showhouse and is fitted out to a very high standard with marble floors and superior fittings. The interior of this home boasts an impressive four double bedrooms, three bathrooms, two reception rooms, and attractive, modern, décor. The exterior offers large landscaped gardens, a garage, and ample private parking. There is 95 per cent (of purchase price ) Section 23 type tax relief against all rental income with this property for investors and a guaranteed annual rental income of €9,000. The property is approximately 230 square metres with a BER C1 rating. It is ready to live in and must be seen to be fully appreciated. For more information or to make an appointment for a viewing call agent Dermot O’Meara of Sherry Fitzgerald O’Meara on (086 ) 2551082.